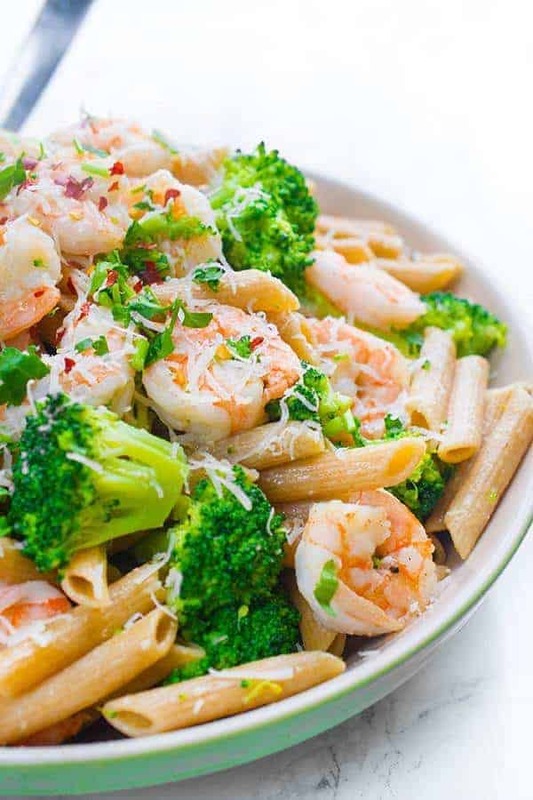 A fast and easy weeknight dinner recipe, the whole family will love this lemony, garlicky, shrimp and broccoli penne pasta. 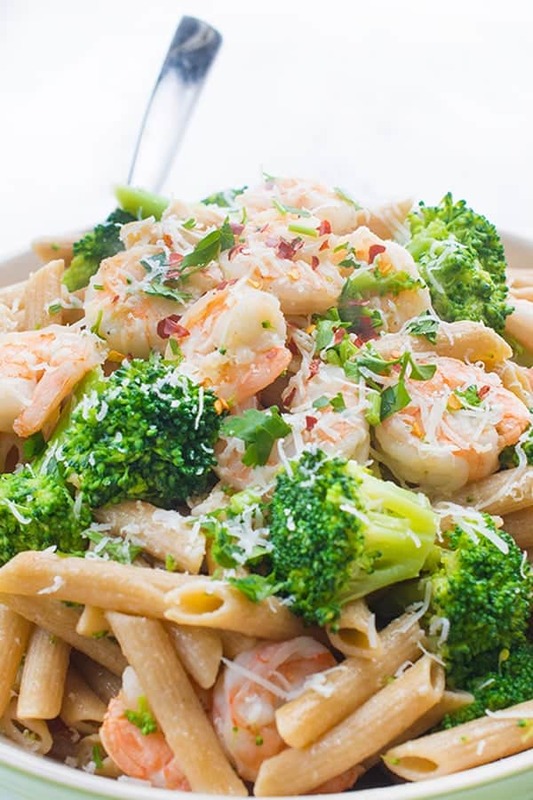 This dish is the perfect culmination of my family: it has pasta for my husband, shrimp for my 4 year old and lots of broccoli for Mama. The youngest? Well luckily, that boy eats anything and everything. If you aren’t a seafood loving family like we are, simply swap out shrimp for chicken or even sausage. Similarly, any type of short pasta would work. Just use whatever you have on hand! To save even more time in the cooking process, you can also always add the broccoli to the pot of boiling pasta about 2-3 minutes before you’re ready to strain the pasta. How you like them apples? Whatever you do, don’t forget the cheese. You really can’t have too much freshly grated parmesan cheese in my book. 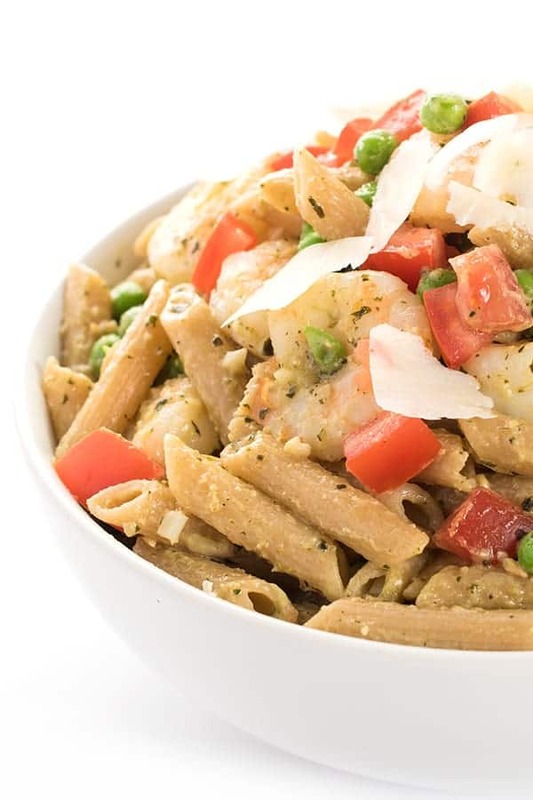 When cooking the pasta, reserve 1 cup of the starchy cooking liquid and set aside. Strain pasta and receive. Pat shrimp dry with paper towel then sprinkle evenly with salt and pepper. Heat 2 tablespoons of the olive oil in a large, deep skillet over medium high heat. Add garlic and heat for 30 seconds to release aroma then add the shrimp. Sauté shrimp in the pan until they turn pink, just 3-4 minutes total, being careful not to over cook. Remove from pan and set aside. In the same pan, add broccoli florets and reserved starchy cooking liquid (or chicken broth). Bring to a boil then cover pan with lid and reduce to simmer. 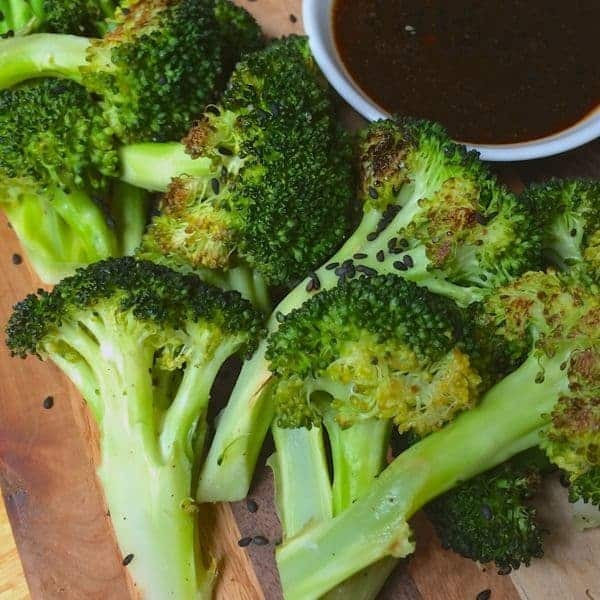 Let broccoli steam until bright green, about 3-4 minutes. Add reserved cooked shrimp back into the pan along with the cooked pasta. Stir in remaining 2 tablespoons olive oil, lemon zest and lemon juice. Toss well and add more salt or pepper to taste. Serve with parmesan cheese, minced herbs and red chili flakes. More Seafood Recipes are waiting for you on Pinterest! 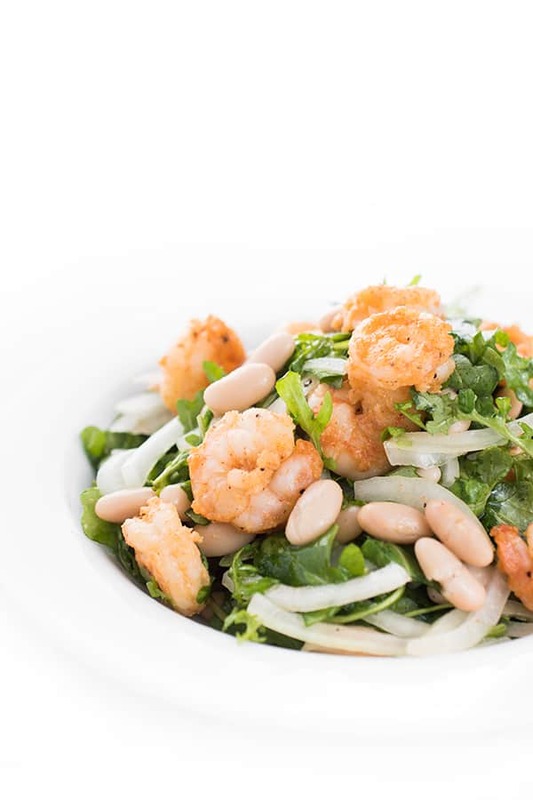 Follow The Lemon Bowl | Liz Della Croce’s board Seafood Recipes on Pinterest. Superb! Simple ingredients that combine beautifully. I’m sure I’ll make this again and again. Thank you! Liz, thanks for another simple, yet delicious, recipe! 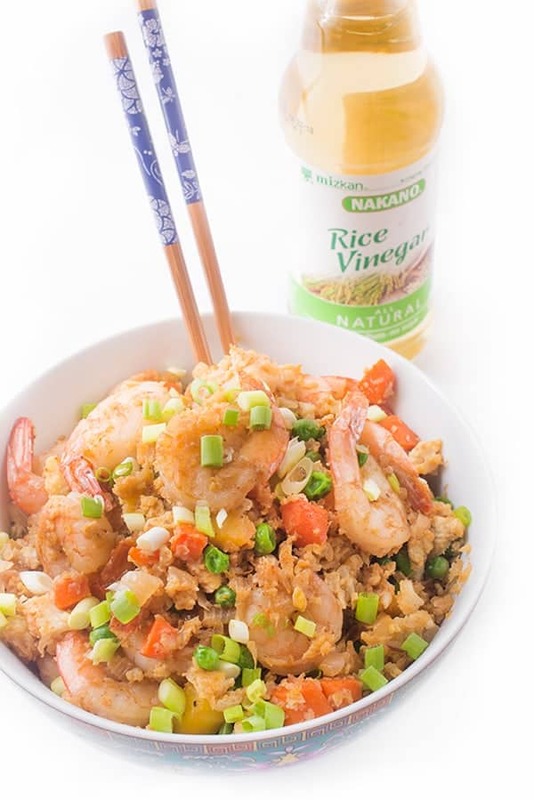 I needed a quick, healthy dinner idea last night after a long day at work, and this was perfect! 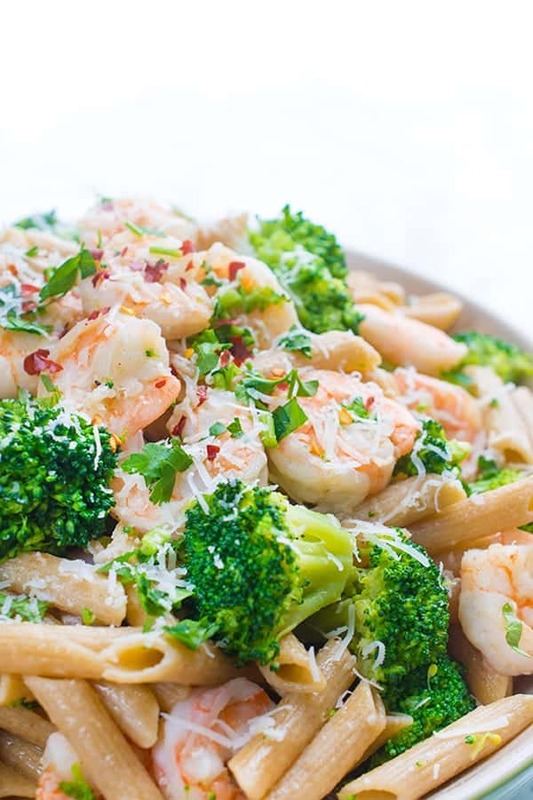 Love the balance of flavors and — most of all — that this recipe doesn’t skimp on the broccoli! My husband, who typically doesn’t like leftovers, wanted to take it for his lunch today. That’s a big win! Ha! I’ll be making this again, for sure! That’s always a good sign!!! I’m so glad to hear it!! I love shrimp scampi and this is a take off of it. Very good and I love Broccoli! We are making food day on upcoming Sunday And I need to represent such Amazing Dish, I found best recipe. This looks delicious! Could it be a cold salad as well? Just got done eating it… AMAZING! So simple and filling and flavorful. Thank you for the tasty recipe! So glad you liked it Courtney!! All fixed now – sorry about that! This recipe looks great! I realized the instruction call for lemon but the ingredients don’t list lemons. How much lemon juice/zest does this recipe call for? So sorry about that! The recipe is now revised to include the lemons! you mention that this dish is ‘lemony’ and state to add lemon juice and zest in the recipe, but do not have lemon listed in the ingredients…? 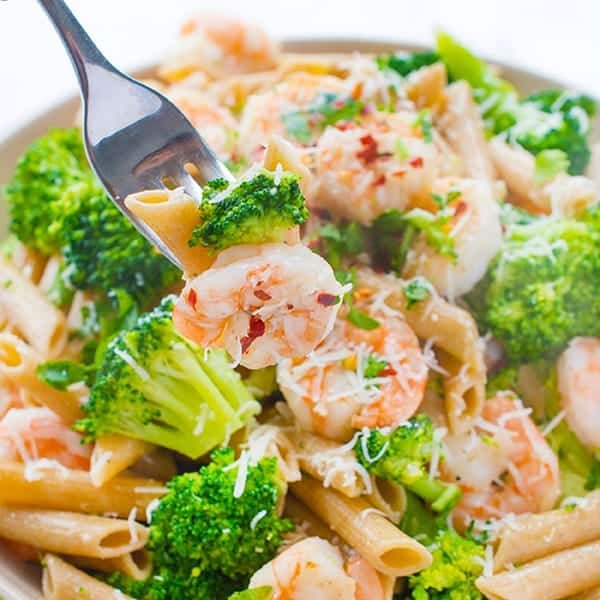 Penne, shrimp, and broccoli is probably my favorite combination EVER for a pasta dish. Thank you so much for sharing Liz! Your photos are stunning. Thank you so much Marina!! My photographer is so talented!